Central Coast, Calif. April. 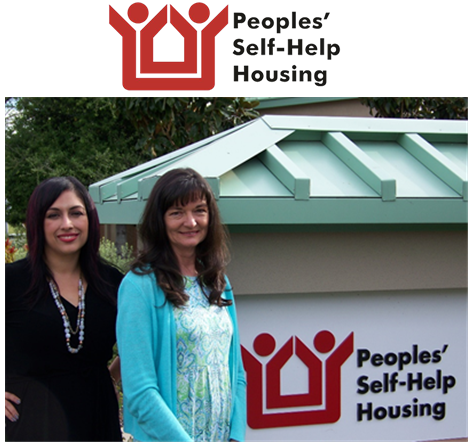 14, 2016 – Peoples’ Self-Help Housing is proud to announce the promotion of Ruth Callahan and Anna Vela-Villicana within the Construction and Home Ownership Departments. Callahan and Vela-Villicana are stepping into vital new roles as PSHH continues to expand to meet the still growing demand for affordable housing along the Central Coast. Callahan will serve as Construction Administrative Assistant for the Construction Department. Her duties will include construction contract management, monthly draws and functions related to billing/invoicing and vendor compliance. Callahan was previously an Account Clerk for the Fiscal Department, where she was responsible for Accounts Payable functions such as invoices and check requests. Vela-Villicana has been promoted to Housing Specialist for the Home Ownership Department. As a Housing Specialist, Vela-Villicana will provide housing counseling, loan packaging for U.S. Department of Agriculture mortgages, secondary down payment assistance loans and other related services. Vela-Villicana previously worked as an Administrative Assistant for the Resident Services Department where she assisted with programs such as Supportive Housing Program, Youth Education Enhancement Program and the Community Building and Engagement Program. Prior to coming to PSHH, Anna worked as a legal secretary for several years. She is bilingual in English and Spanish. Founded in 1970, PSHH is an award winning non-profit organization that develops affordable housing and community facilities for low-income households and homeownership opportunities for working families and special needs populations, such as seniors, veterans, the disabled, and the formerly homeless. With nearly 1,200 self-help homes completed and nearly 1,700 rental units developed, PSHH is the largest affordable housing developer on the Central Coast, with offices in San Luis Obispo and Santa Barbara. For more information on Peoples’ Self-Help Housing, visit www.pshhc.org, email communications@pshhc.org or phone (805) 781-3088.